Time is Art - Life is Art! We at SkyTime Thank You for Supporting our Small Family Business! ~~~~ PRE-ORDERS NOW AVAILABLE ~~~~ Calendars will begin shipping in MID JUNE. Orders will be sent out in the sequence they were received ~ so the sooner you order, the sooner you'll receive your New Calendar! Expand your reality by stepping into a new dimension of time. This easy to use, cosmic system is a daily calendar that will transform your life by transforming your relationship to Time itself. 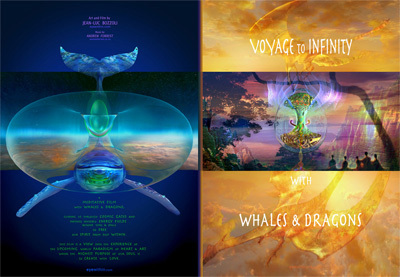 Features 13 Visionary Artists & Indepth Guidebook to the Galactic Energies! “Thank you for your absoutely amazing calendar! I've been using them for 2 years now, and they really changed my life!" Only Available in Limited Quantity! Plan your days in harmony with the Galactic codes! This professionally designed day planner is full color, and includes 36 pages of charts. (Codes in Japanese & English). A perfect compliment to The Galactic Wall Calendar! Spread the magical truth that Time is Art! 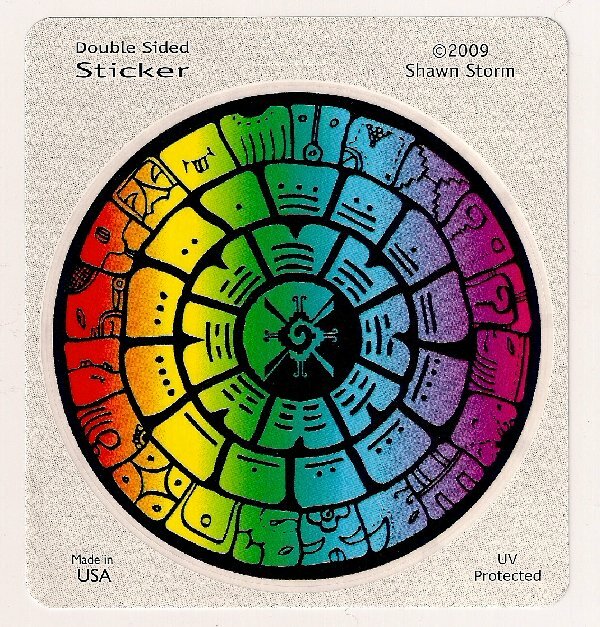 The emblem on these stickers unifies the Tzolkin Codes of Light with the I-Ching Codes of Life! These round stickers are transparent, double-sided, 4.5 inch diameter. Perfect for windows! Double-sided, 11 X 17 poster. Shows two different perspectives of the year - The 13-Moon Wavespell of the Year on one side, and 20-day cycles of the Haab on the other side. Join the Global Activation of this powerful image. 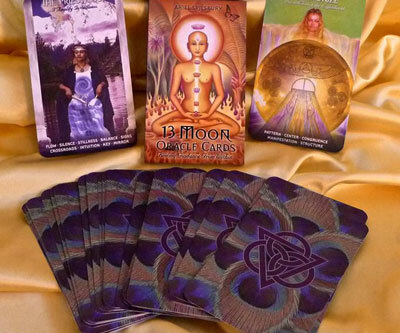 Together we are Envisioning our Positive Future ~ invoking Planetary Regeneration & Cosmic Protection of our Earth! Perfect for sacred decoration, or to send to a friend! 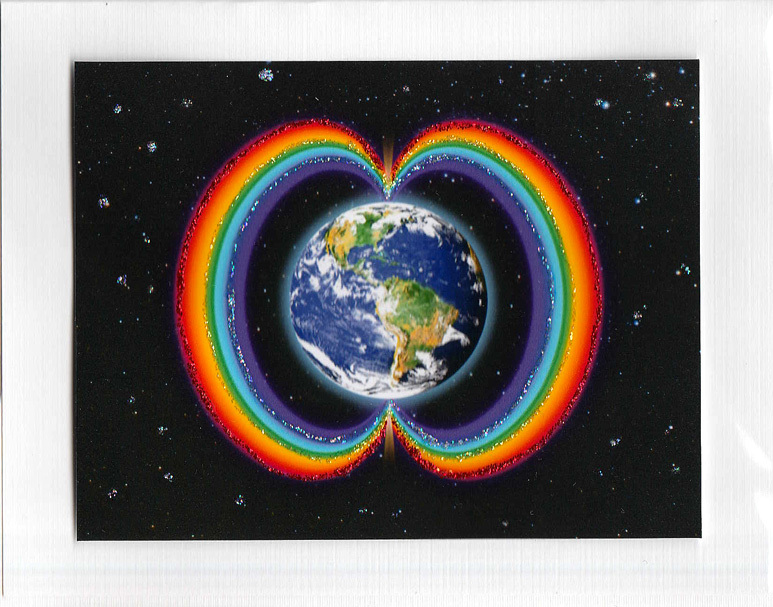 5" x 3.75" card includes envelope & protective covering. Blank inside. Includes insert explaining this New Era Emblem. Handmade by Sarah Spectral Seed ~ integrating SkyTime's depiction of the Rainbow Bridge with love & rainbow glitter! 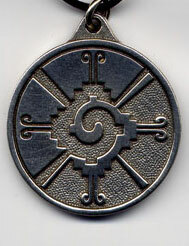 The Hunab Ku symbol represents The Architect of The Universe; the One Giver of Movement and Measure; the Absolute Being; The Center of the Galaxy; The Universal Dynamism which stimulates and motivates life in its total manifestation of spirit and matter. 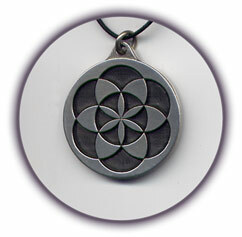 This symbol represents the principle of intelligent energy that pervades the entire universe. 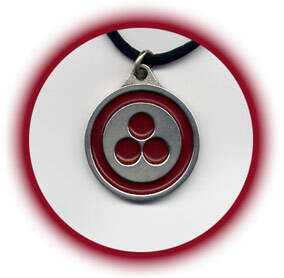 This emblem signifies "Peace Through Culture" and the unification of art, science & spirituality. The deep red represents the color of our one human blood. This universal symbol has deep historic roots and powerful modern significance as it now also represents the need to protect our Biosphere as the Mother of All Culture. According to Drunvalo Melchizedek, the "Seed of Life" reflects the story of Genesis, the act of spirit forming matter. As the metaphysical building block of nature, the Seed of Life is at the heart of every atom, molecular structure, life form and eventually everything in existence. Therefore, all things existing can be built from the shape of the Seed of Life. 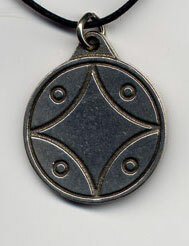 As a symbol, it serves to illustrate the connectedness of spirit and all life within the universe. 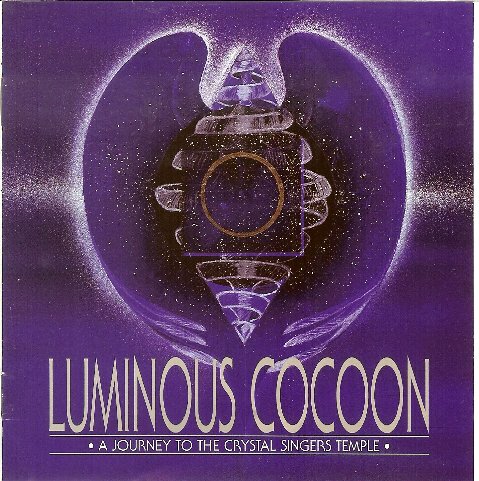 LISTEN TO A SAMPLE OF CRYSTAL SINGING HERE! This CD starts with a Guided Meditation, then includes 4 tracks: Earth - to Clear the Physical Body, Water - to Clear the Emotional Body, Fire - to Clear the Mental Body, and Air - to Clear the Etheric Body. This CD is deeply relaxing, both subtle and powerful, and is a great way to clear energies and attune to higher frequencies. Perfect for healing sessions or massage. We are thrilled to offer this stunning 3D animated art video that illuminates the senses and the imagination, leaving one feeling exhilarated with the presence of Divine majesty. 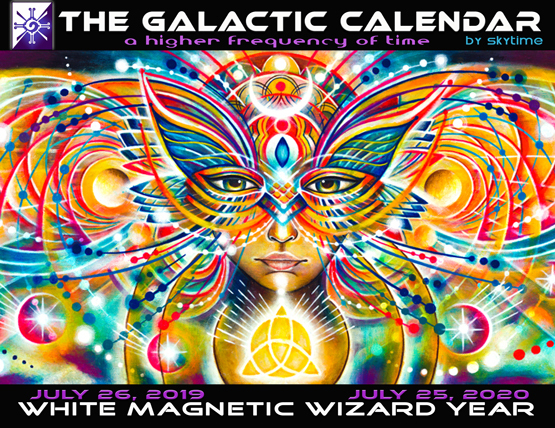 This portal allows us to journey into new yet ancient dimensions - inspiring the remembrance of our Galactic heritage! "…A vision of what our reality must be like in the higher dimensions…"
We at SkyTime invite you to partake of this voyage! With 5 different soundtracks, this 30-minute video is definitely worthy of watching over and over, offering a profound opportunity to share with friends, family and one's community! "Travel beyond time & space into multi-dimensional ways of living"
Another incredible 3D animated art video by the creator of "Transmuteo!" We highly recommend this powerful 30-minute meditative journey that takes one beyond the bounds of time and space and into realms of infinite imagination... magical, mystical, captivating, invigorating to the Spirit! You will definitely want to watch this DVD many times, and celebrate the opportunity to share this majestic voyage with your communties!